We haven’t done a Rumors and Rumblings or Euro Roundup in a while, but so much has happened in the European cyclocross world this week that it begs a new installment. The tragedies in Paris took its emotional toll on much of the world this week, and it will continue to impact all participants and spectators this Sunday at the UCI Cyclocross World Cup at the sand dunes in Koksijde, Belgium. Cyclocross Magazine’s European correspondent Christine Vardaros has reported that while authorities are concerned that the popular race that attracts tens of thousands of spectators could be a potential terrorist target, the race will go on. Instead, the event will feature higher security for both spectators and racers attending the race on the sand dune-filled military site. Vardaros also reports that security will be “frisking everyone and running them through metal detectors” and are asking spectators to leave backpacks behind. If you’re planning on attending the race, plan on some extra time to get inside the sandbox. 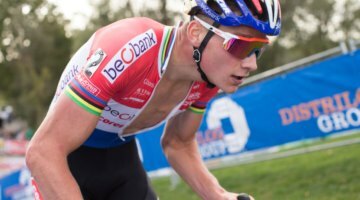 Want to buy a top cyclocross team? Telenet-Fidea owner Hans van Kasteren plans to the professional cyclocross team, which includes the Elite Men, Elite Women and U23/Junior teams. 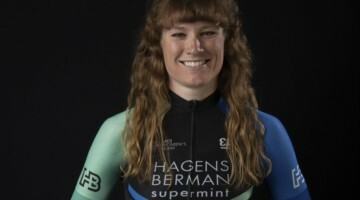 Current riders include Ellen van Loy, Nikki Harris, Tom Meeusen, Thijs van Amerongen and Corne van Kessel. 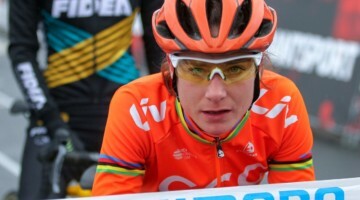 Ellen van Loy (Telenet – Fidea) is one of the stars on the women’s team that is now for sale. Vardaros reports that Golazo Sports, title sponsor of the GP Sven Nys, is one of the candidates to buy the team, with Sven Nys, Sven Vanthourenhout and Jan Verstraeten all to be involved. 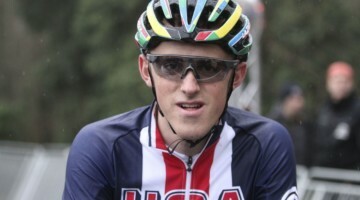 cyclocross the big question to me after looking at the start list is…where are the Americans? Where are all the American racers? Only one in the men’s race and 4 in the w’s race.